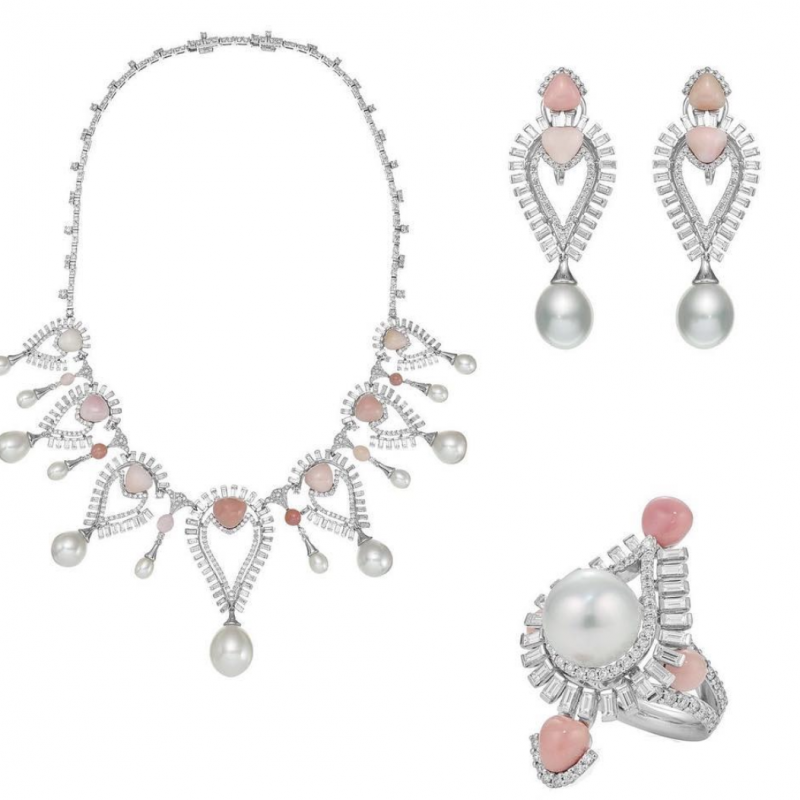 Sarah Ho unique set of 24 conch pearls for this incredible design. 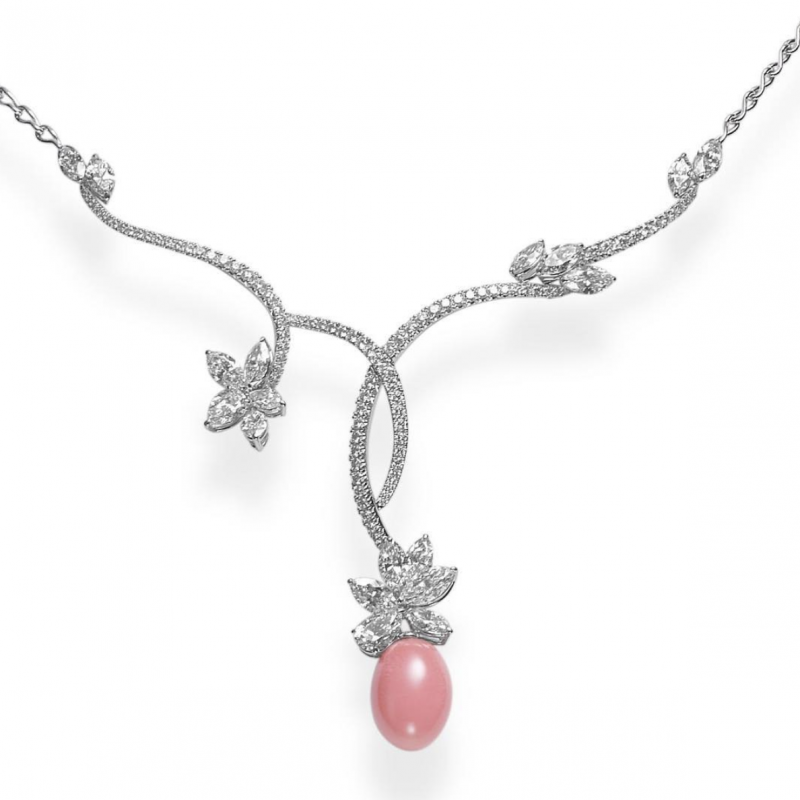 Mikimoto was the first jeweler to use conch pearls in contemporary jewelry design. 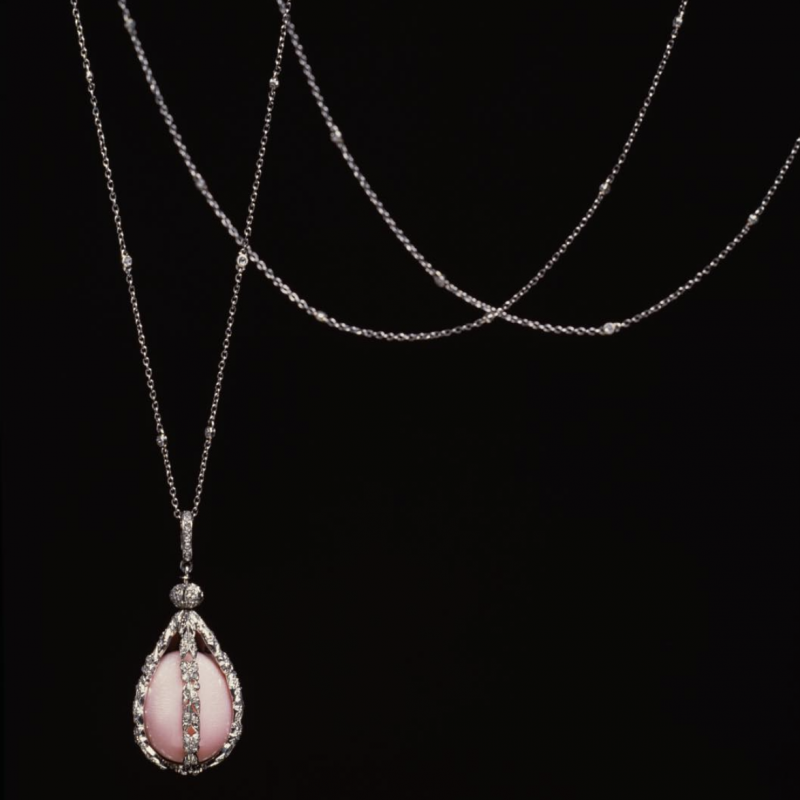 8 mm Conch pearl accompanied 4.50 carats of diamonds. 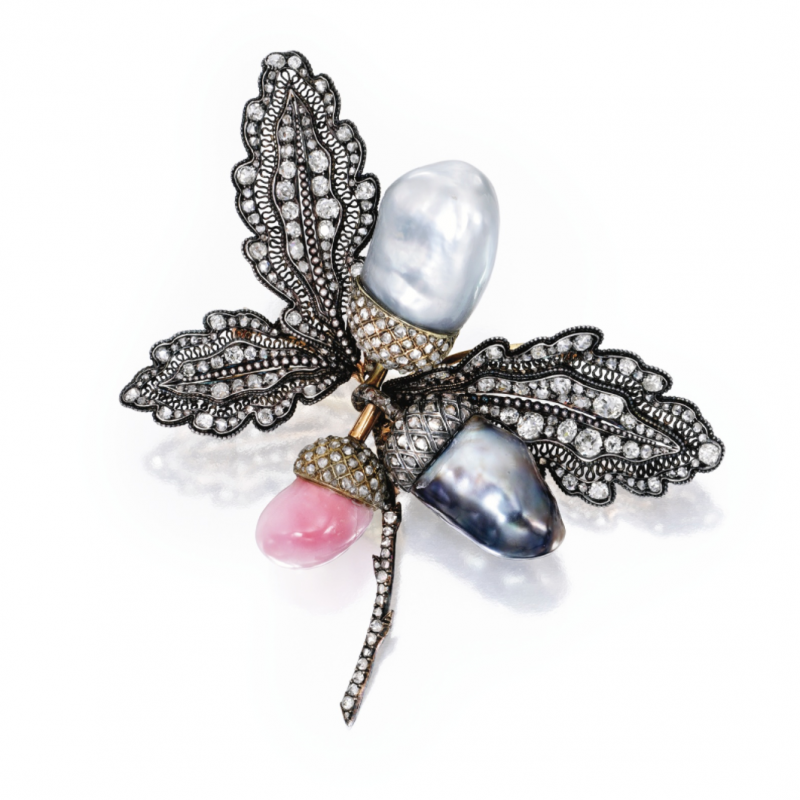 The one and only David Morris Thank you for making Conch Pearls shine. 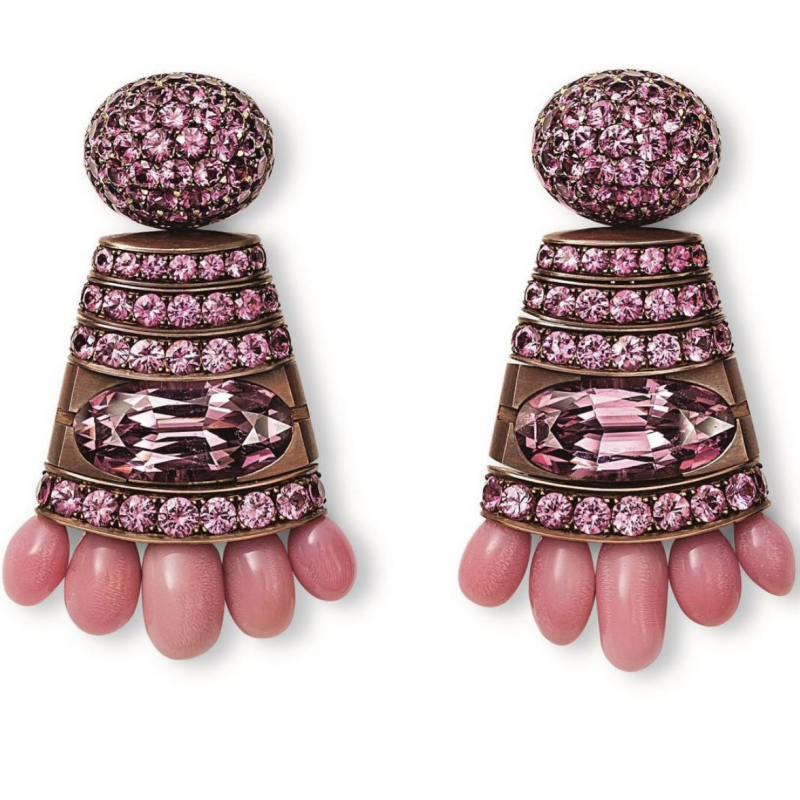 A total of 30 conch pearls weighing 102.47 carats, accompanied by 73.59 carats of pink and white diamonds. 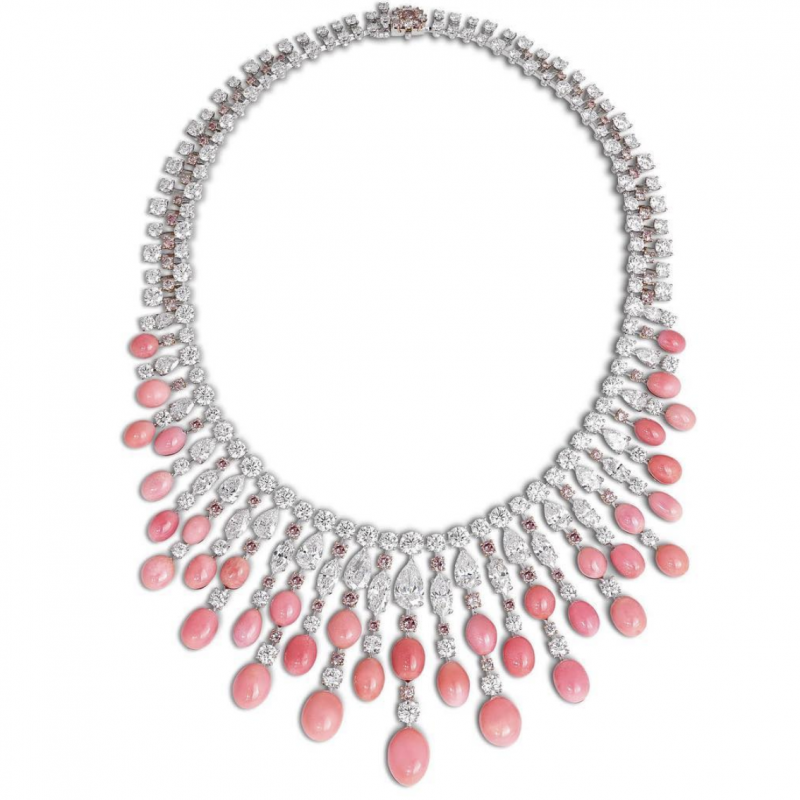 Grandiose! 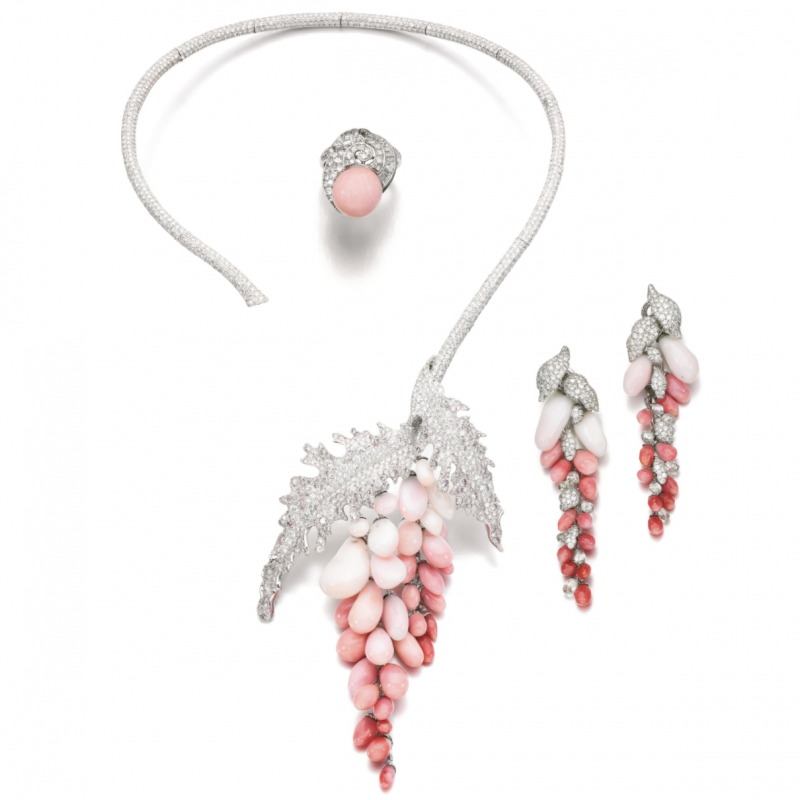 Masterpiece by one of our favorite Hemmerle Set in white gold and copper, 10 Conch pearls accompanied by pink spinels. 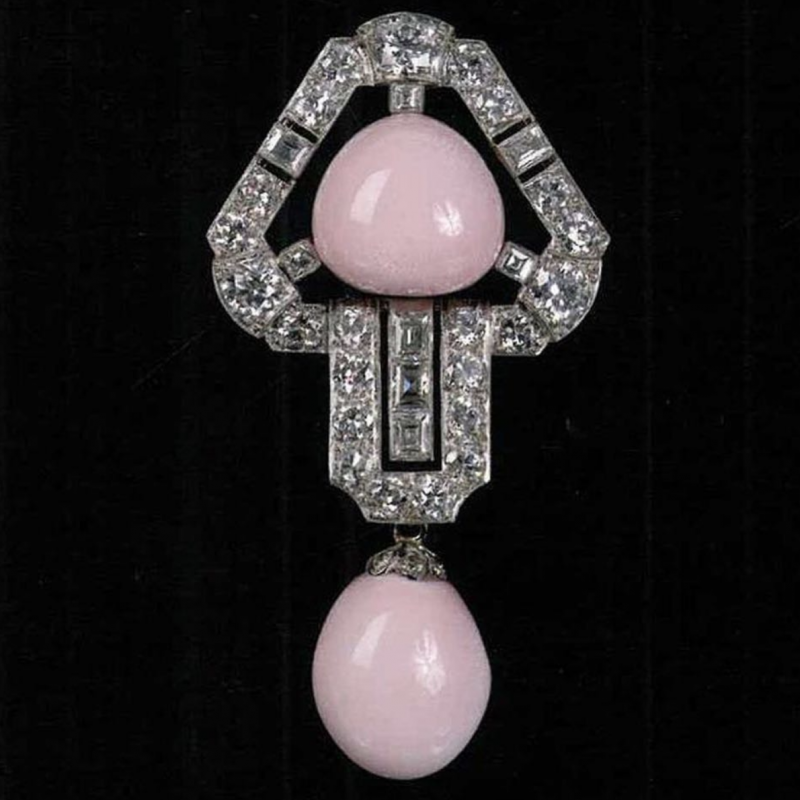 The Queen Mary Brooch The Queen Mary Conch Pearl Brooch, c. 1901, was given to her by her husband, King George V, in the early century. 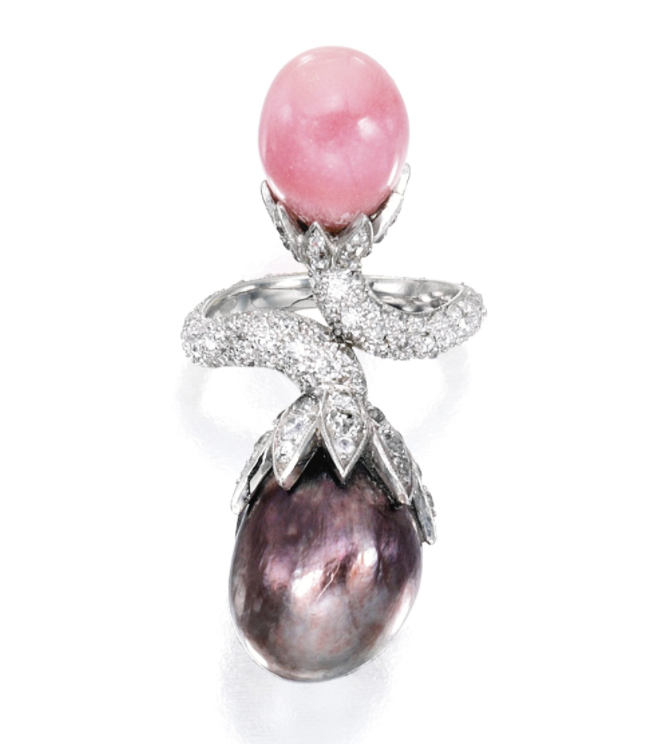 It contains two Conch Pearls, the top pearl is 24.9 carats and the bottom 28.1 carats.